Yesterday, I introduced you to Disney Animator Mark Henn. Mark Henn wears many hats with Disney Animation. For RALPH BREAKS THE INTERNET, Mark served as 2D Lead Animator or “2D Guru” as he likes to call it. Mark was responsible for a hand animated 2D “Easter Egg” in the Oh My Disney! sequence (which you can find below) as well as about half of the princesses in RALPH BREAKS THE INTERNET. 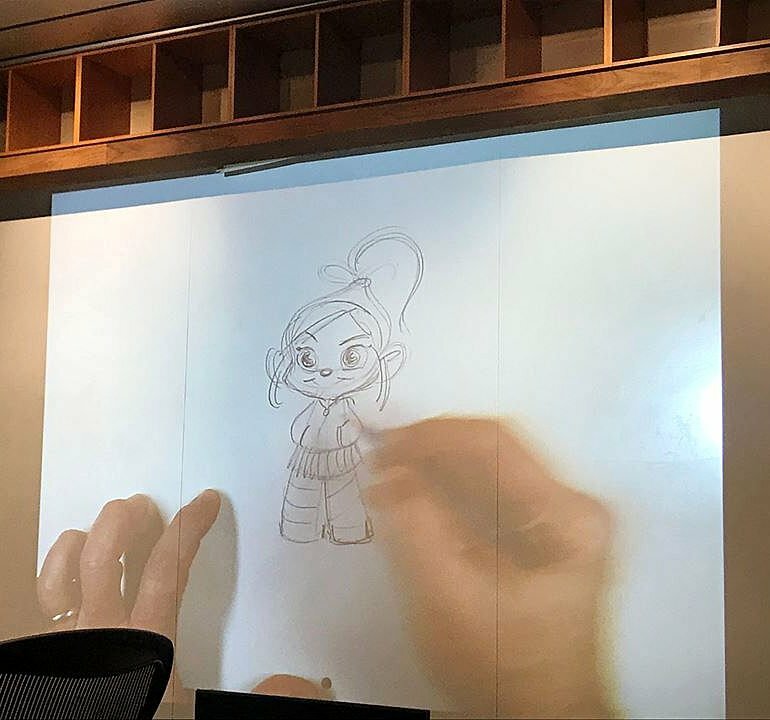 During our session with Mark, he showed us how to draw Vanellope Von Schweetz. I’ve never been very good at drawing. I did take oil painting in college, and I’m pretty sure I got an A…I was okay at it. Let me tell you a story. I’ll never forget this. When I was in fourth grade, my teacher’s name was Miss Keller. I was teacher’s pet, as I often was…not bragging…I just got along with teachers well. One day she was absent, so our class had a substitute. He must have been an art major because all I remember from that day was drawing a tree. You know how most fourth grade kids draw trees…a semi-decent trunk with a big fluffy top. Well. He told me that that’s not how a tree looks! How rude. He wanted me to draw the branches coming out of the trunk with twigs and leaves on them. Yeah, no. That was beyond my skill set. But I’ll never forget how I felt less than and talentless. I probably lost any joy that I derived from drawing that day. And I was 8 or 9. Be careful what you say to people. You never know how it will impact them. Okay, okay. I didn’t drop out of school, but you get the point. So, fast-forward 40 years. Yes, I’m that old. 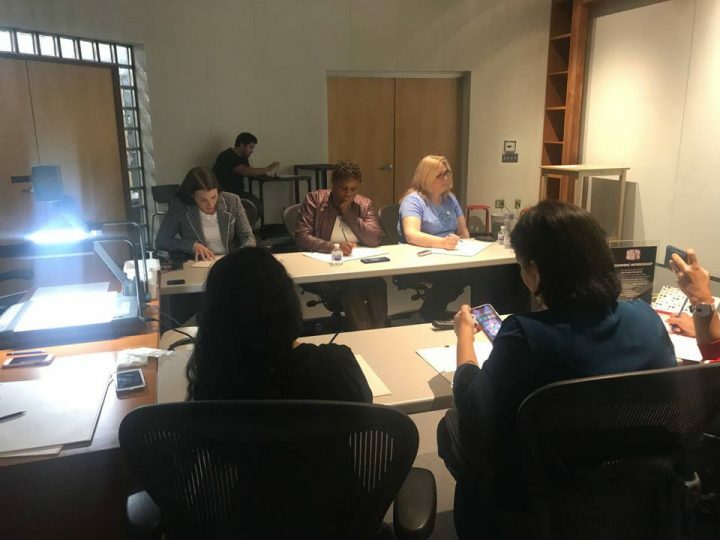 I have this amazing opportunity to meet the Disney Animator who is responsible for many of our beloved Disney Princesses! And…you got it, we’re drawing. Guess what? I did fine! 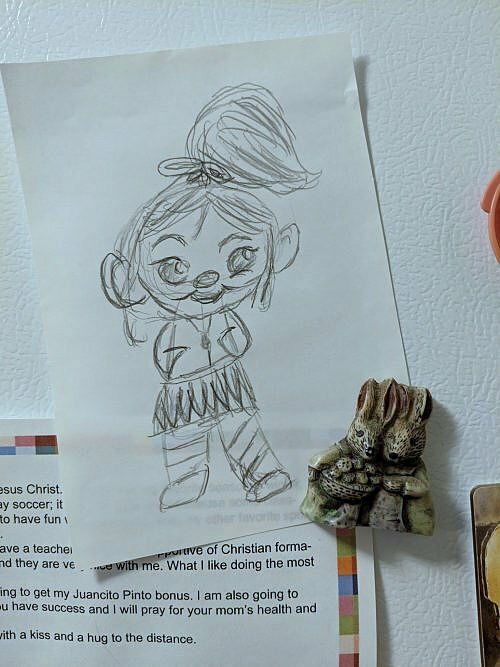 No, I’ll not be sending a portfolio to Disney, but I did hang my drawing of Vanellope on the refrigerator. 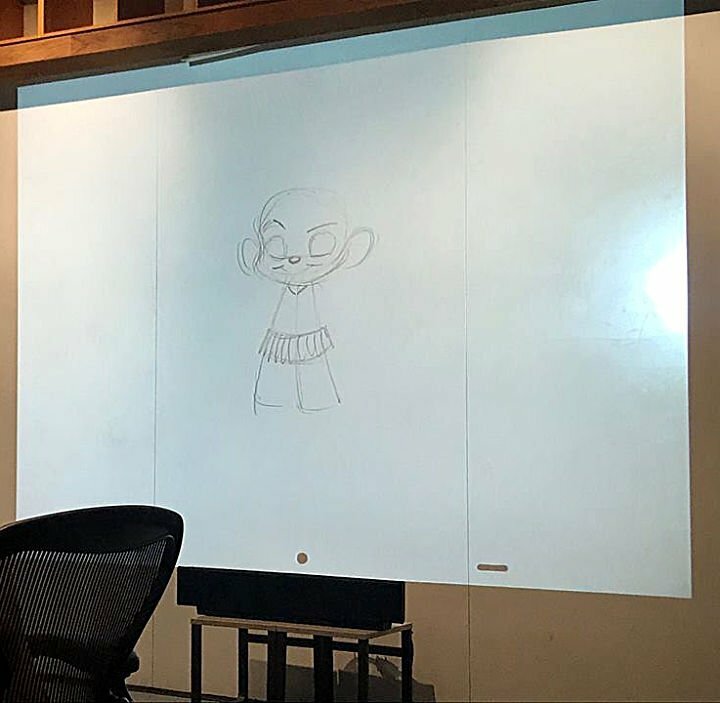 Mark Henn led us step by step in drawing Vanellope while talking to us about what he does at Disney as well as his work for RALPH BREAKS THE INTERNET. Vanellope’s body is like a Popsicle with two sticks (as shown above). Her head is round and those two stems are the main part of her body. She’s classically proportioned just like Mickey Mouse with a larger head. Her eyes and eyebrows are very important since the eyes are the windows to the soul. Vanellope’s eyebrows show her sassiness! You can see her little stub nose and her big ears. She’s a little bit elfish, and if her ears were pointy, she could be a little elf! Finally we added her hair, hoodie and skirt and all of the little details that make Vanellope special. Her hands are in her hoodie pockets a lot of the time, so that’s how we drew her. You know her leggings have stripes that go in two different directions, but did you know her hair is tied with licorice? It is. Oh, and you draw Vanellope’s hair like a Hershey kiss with a wide base coming to a point at the top! 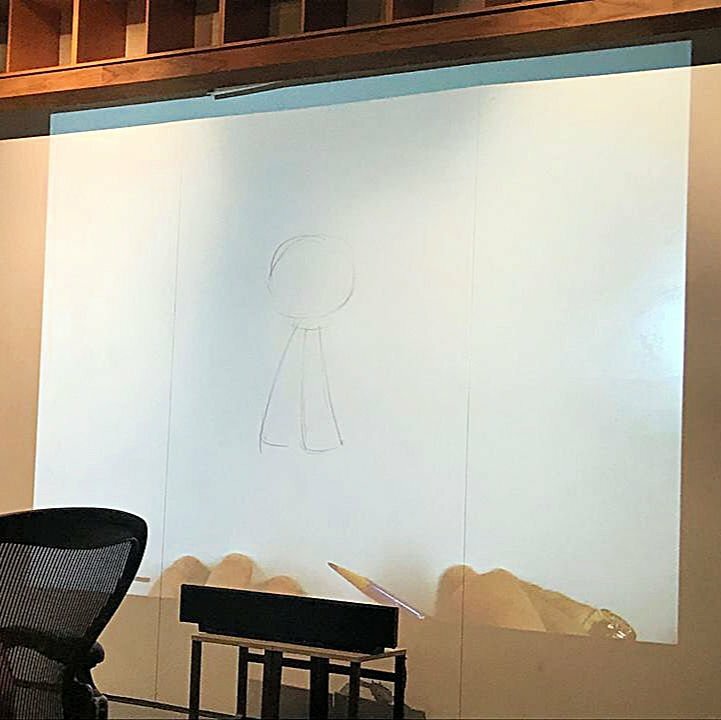 As I said, Mark talked about what he does for Disney while he was sketching and teaching us to sketch. Here are a few facts I didn’t mention in THE LITTLE MERMAID post. Mark was part of the team who did all of the hand-drawn tattoos for MOANA. He’s part of a group at Disney called Legacy. Much of what Legacy does is for the Disney parks. As part of Legacy, Mark works on the fireworks shows, and he got to draw Tiana again for the new fireworks show. For RALPH BREAKS THE INTERNET, Mark worked on about half of the Disney princesses. Like I said yesterday, he hadn’t drawn Ariel in years! He most likely hadn’t drawn the others (like Belle and Jasmine) in years either. He wanted to make sure he got them right. You can see in the movie that he did. Ariel looks like Ariel. Belle looks like Belle. Etc. 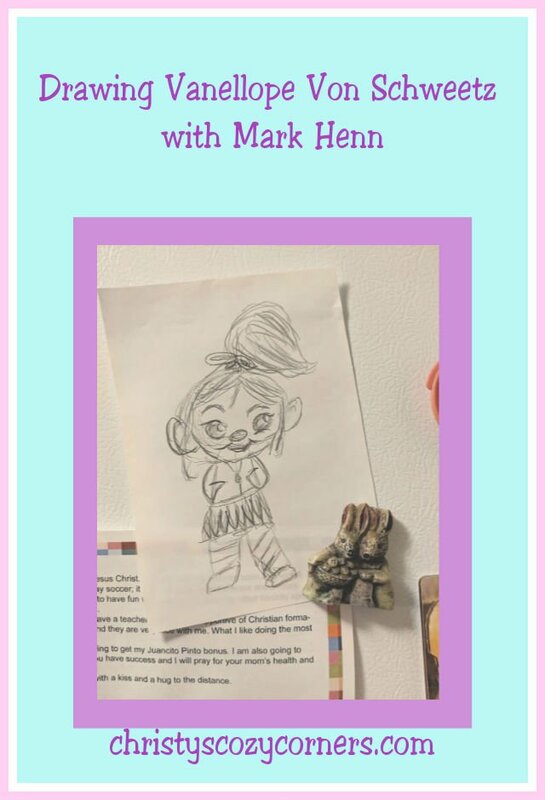 Meeting Mark Henn and drawing Vanellope Von Schweetz was so much fun! 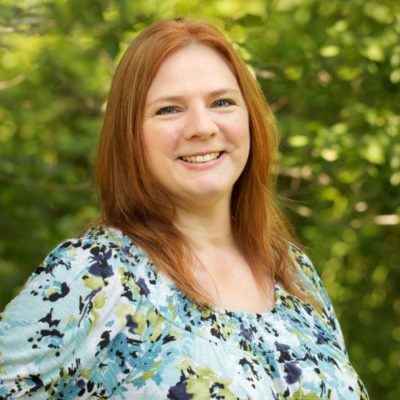 Don’t forget…never give up and follow your dreams!